We are blessed with two deserts in Southern Africa. The Namib in the west stretching from South Africa in the south right through Namibia into Angola in the north. 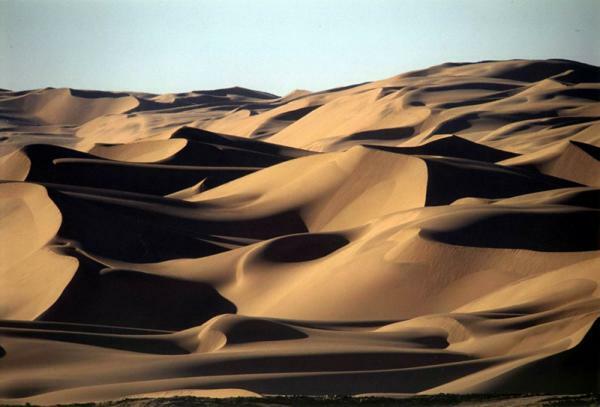 This is the oldest desert on our planet, but a desert alive with rare plant, animal, bird and insect life. In central Southern Africa you will get the longest stretch of sand /savanna desert anywhere in the world, stretching from the Karoo north through Botswana and Namibia, crosing into Zambia and Angola and dies against the mighty Congo river in the DRC. We do undertake tailor-made tours to this two desert destinations and driving the sand and dunes will guarentee a driving thrill unmatched.